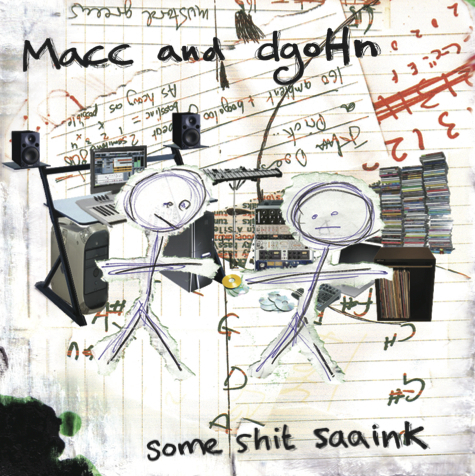 **Re-release including five bonus tracks from the same sessions** The ever impressive Subtle Audio label pair up two of leftfield jungle's most deadly drum technicians Macc and dogHn for an album of expressively abstract and freeform Drumfunk. Even a glance at the sleeve (some scrawled collage) will tell you this isn't an average D'n'B release, and once the rhythms take hold you'll be in the midst of some febrile breakbeat business. Over four tracks the pair murder their drums through angular chops and bucking edits, tumbling through esoteric and deceptively raw arrangements to fulfill their image of what's (im)possible for any real life drummer to create. If any fans of Paradox etc. have heard the samples yet, they'll probably be clicking the buy button already. This re-released digital version includes five new bonus tracks.